History of Sony Walkman: When Was the Walkman First Invented? Long before the history of the Sony Walkman started, portable devices that made use of tapes already existed. However, those devices were tape recorders and they were mainly used by professional journalists in recording conversations for interviews and research. The Sony Walkman was introduced with the general public in mind and instead of being a tape recorder, they were primarily music players. It was a revolution step in the recording industry and the way people listened to music. Instead of being required to stay in one place to listen to music, people started to have the ability to listen to music wherever they go. The Walkman, first invented in 1979, was not the first attempt by Sony in portable tape players. In 1978, Sony released a personal tape player called the TC-D5. It was available for the general public but it was not received well by the public because of its bulky design and its expensive price tag of about $1,000. 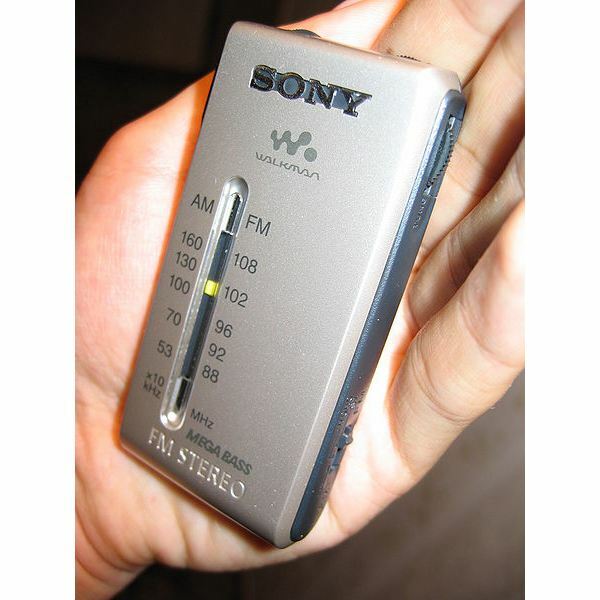 Sony still wanted a personal tape player and they found a way to make it more affordable and more portable by making use of the Pressman, which is their existing tape recorder product. Using a Pressman as their base, Sony’s tape recorder division devised a way to remove the recorder function of the Pressman. They then added stereophonic sound. With a few adjustments made to the materials used in the portable device, Sony’s tape recorder division finally found a way to make the device more affordable. They then used a stylish design for its exterior and the device was finished. All it needed was a name. Since the device was based on the Pressman, Sony eventually settled on the name Walkman. In June 21, 1979, the world was finally introduced to the public as the first tape-based portable device without a recorder function. The history of the Sony Walkman is not all about success stories. Although the device was met with great anticipation by the public, the press had a more critical perspective. The device was predicted to fail due to its lack of recording function. Even its name was put in the spotlight, under scrutiny by naysayers. The marketing team of Sony was taken aback by this feedback which caused them to change the device’s name when it was released in the United Kingdom, the United States and Sweden. However, the Sony Walkman proved to be a resounding success as the public completely ate it up. Even the original name was preferred by the public so the new names of the Walkman like Freestyle and Soundabout were ditched in favor of the first name. The Walkman, first invented in 1979, enjoyed two decades of being a very popular music-related device. People started to walk around more for exercise because they finally had a way to entertain themselves while doing so. A lot of knockoffs and similar portable devices were produced by other companies, leading to more advanced portable musical devices like CD players and MP3 players. The Walkman has become so popular that it became a part of our regular vocabulary.